The hotel offers a Health Center, which includes a full-service SPA with extensive range of relaxing therapies and treatments, Salt room therapy, Dry sauna, Exotic rain Tunnel and Turkish Hamam sauna; A Fitness Club fully equipped, with the most modern stay-fit gym equipment; and a relaxing out-door pool with sun deck and a Jacuzzi. Kids & Children will be able to have fun and enjoy in our Kids Club, which contains the newest attractions, toys & equipment for Children of all ages. 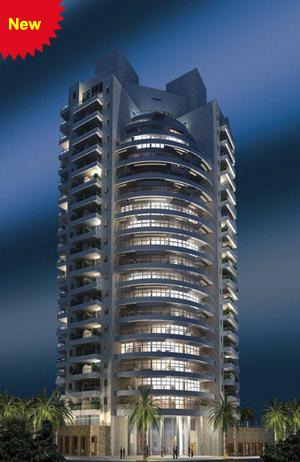 Business clients will have a free entrance to the VIP Business Lounge, where they can enjoy food & beverage, a magnificent view of the Mediterranean Sea, internet access & computer workstations. 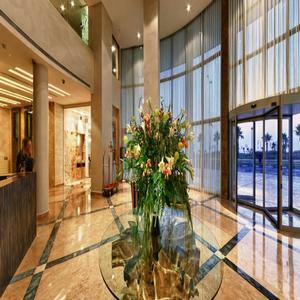 Experience, quality and great services, are the foundations of Ramada Hotel & Suites, Netanya. The satisfaction of our guests is the flagship of the hotel, and we shall do our uttermost to make our guests' vacation, as delightful and unforgettable as possible We offer free wi-fi internet. 1 bed room suite & 2 bed rooms suite, of exceptional style, function and comfort. 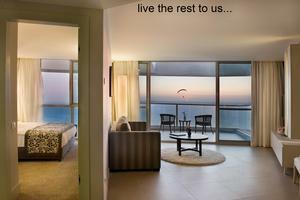 Suites are spacious and can accommodate up to 6 guests. 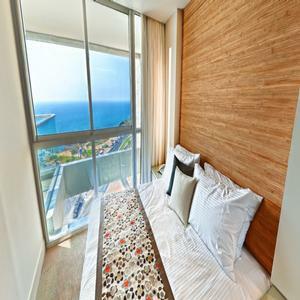 All the suites includes functional kitchen, sleek baths and showers, beautiful bedrooms, lavish living room, a private balcony with an inspiring sea view, various amenities such as,free Wi-Fi/high speed internet, LCD TVs etc. 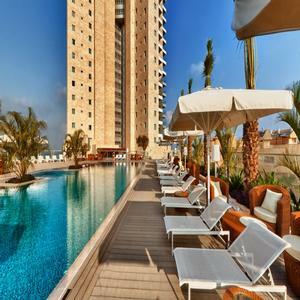 The Ramada Hotel Netanya Is Perfectly Located in the new Netanya Promenade . 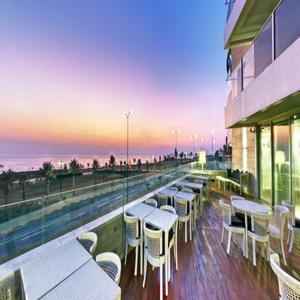 Situated in front of the Netanya's Mediterranean beach.